Today I had the privilege of accompanying John and Katie on a walk down memory lane. 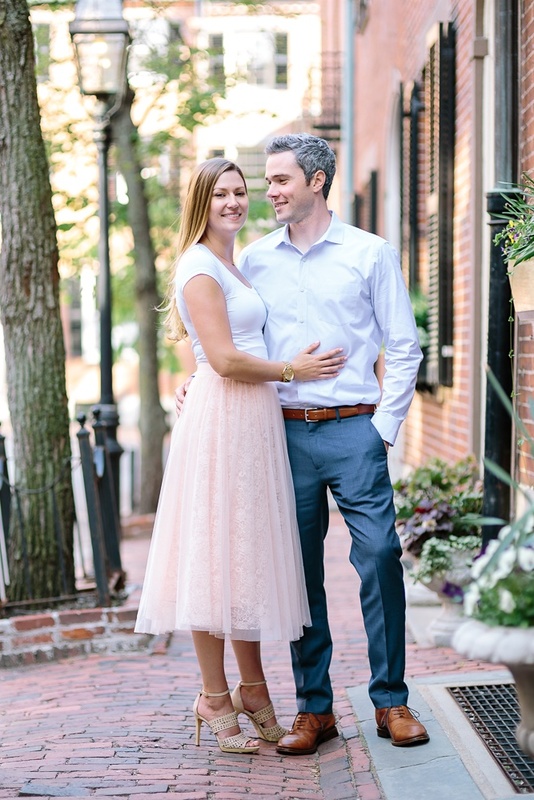 Years ago, John lived on Beacon Hill when he and Katie were first dating. They remember meeting at the State House, dining at Scollay Square, and taking walks in the Public Garden. The couple now live outside of Boston with their two-year-old labradoodle Minnow, who also tagged along. He seemed to enjoy all the excitement and attention, and was great sport, snapping to attention every time I squeezed a small squeaker toy.